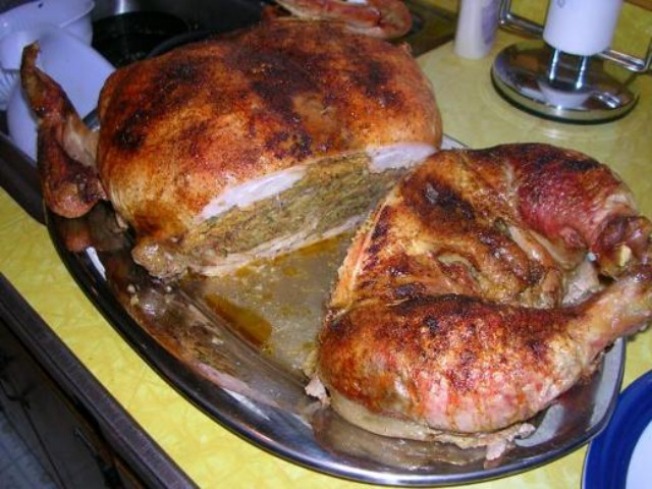 A traditional Turducken split wide open and ready to be served. Looks delicious, doesn't it? For years, the idea of Turducken, a bird (chicken), stuffed inside a bird (duck), stuffed inside yet another bird (turkey) has gripped my imagination and made my stomach rumble. While this delicacy is popular in the south, it's a bit harder to find north of the Mason-Dixon line, especially in Connecticut. 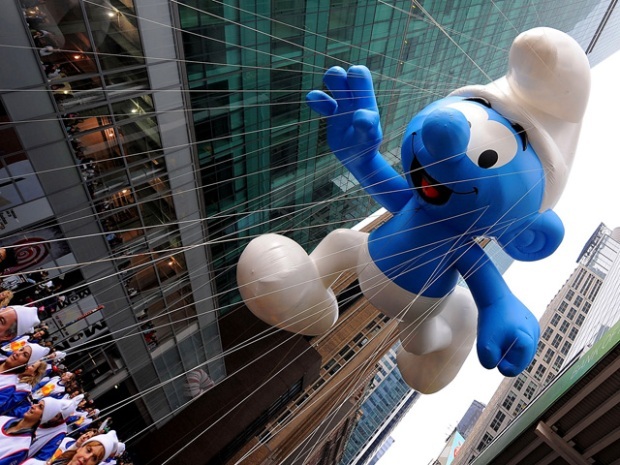 That's why I've done some research for those of you looking for the ultimate Thanksgiving delight. Let's start with the local stores. Highland Park Market, with locations in Farmington, Glastonbury, Manchester, South Windsor, Suffield and Coventry, carries turduckens. For $69.99, you can purchase a frozen turducken, which comes with a side of creole stuffing. However, if the thought of frozen poultry chills your tastebuds, customers can purchase a freshly prepared turducken for $110. Side dishes cost extra. "We will custom-make anything that people want," Anthony Frankovitch, meat manager at Highland Park Market in Manchester, said. "These days it seems like people are stuffing all kinds meats inside each other ... and we're happy to oblige." Frankovitch said he has been selling turduckens for the last four years and the interest increases a little each year. He admits that he's even heard of turducken's close relative, turporken. For those who would rather have turducken shipped right to their door, there are plenty of options available at the click of the mouse. Amazon offers a 15lb. Louisiana Cornbread Turducken, and if you need the real deal, the Louisiana Crawfish Co. offers turduckens from La Boucherie and Cajun Stuff, the self-proclaimed "best original producers of handmade turduckens." Or, maybe you're pretty creative in the kitchen or you just watched "Julie & Julia" and are thinking, I just want to stuff my own turducken. There's a recipe for that too. The Cantering Caterer of Westport details all the steps to make your Thanksgiving guests feel like they were eating on the Bayou. Turducken, it's the other, other, other white meat.